With the marching/football season off to a great start, it is time for us to begin focusing in earnest on the upcoming marching band competition hosted by the Carrollton Trojan Band Boosters here at Grisham Stadium. This year The Legacy of Champions is on Saturday, October 13th and is an all day event. Our event is fast becoming one of the premier competitions in the whole state and is also one of our most successful fundraising events with the funds going to reduce the cost of our biennial band trips. All students are required to work this event and all parents are expected to volunteer as well. We need everyone involved! There is a great variety of volunteer opportunities available, so it should be easy for everyone to find something to do that day to ensure another great year for our guests. We even need your ATVs, trailers, and cooking skills too! Sign-ups for volunteers are broken up by duty areas and are listed on our VOLUNTEER PAGE below with a brief summary of the types of things you will be doing the day of the event. Full descriptions can be found in the details area of each sign-up after clicking on a particular sign-up link. We will also be having a volunteer meeting on September 27, 2018 at 6:30pm in the band room to provide more details, offer training, answer any questions you may have, and outline what to expect that day. Please make every effort to attend this meeting. Your participation and preparation is imperative to our success! 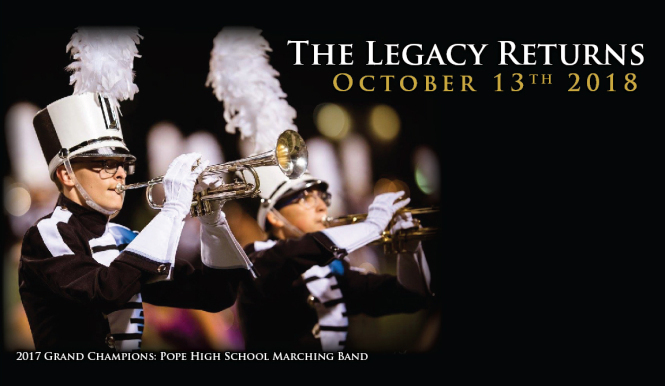 Finally, the competition is also an excellent opportunity to honor your band student and seniors! Most of us know how hard our band students work and how dedicated they are, but how often do we tell them or recognize their efforts. With that in mind, we wanted to share a unique opportunity with all of our supporters for honoring your band student(s). 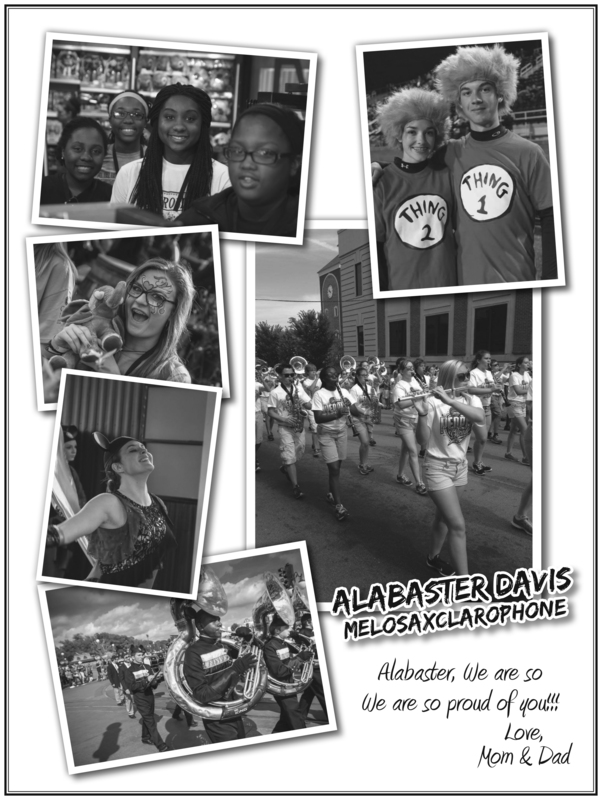 In conjunction with the Legacy of Champions Marching Band Competition, we produce an outstanding, professional event program that gives parents, grandparents, guardians, friends, or loved ones the opportunity to purchase a custom, personal ad to recognize your band student. 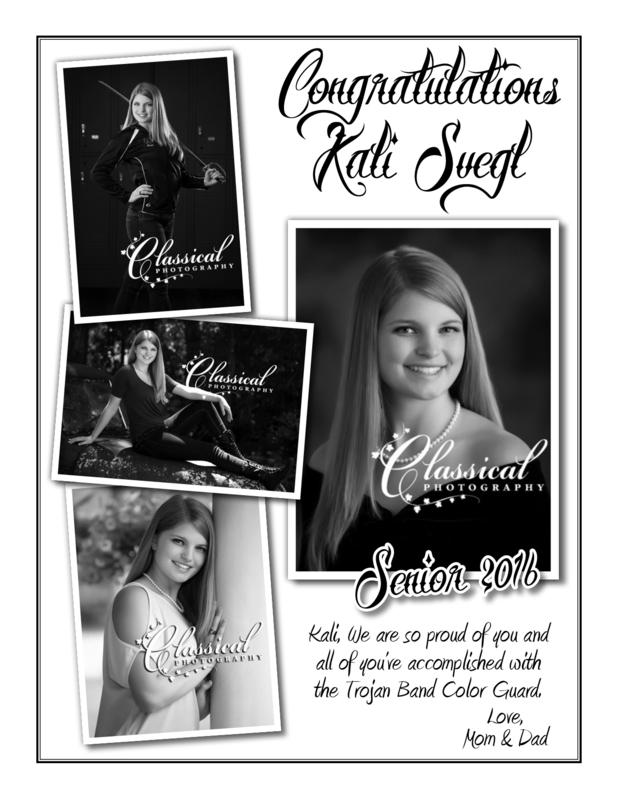 Show your pride while preserving their memories and accomplishments to be cherished for years to come. Can be placed by a parent or guardian, grandparents, a group sponsor, loved ones, or friends. But hurry to reserve your spot! Personal ads are only available until September 14th, 2018. All Yankee Candle orders should be turned in Thursday night, August 30th. Band boosters will be in the band room from 7:00-9:00 PM to receive orders. If you’re willing to help us build props, we can use your help on Thursday evening from 6:00-8:00 PM in the house behind the bandroom. Please Remember – Students should eat before reporting to the game. Dinner is NOT provided to band students for HOME games. The FINAL trip payments are due October 23rd! This is an important deadline! Posted in CHS Band, Legacy of Champions and tagged #trojangold, Carrollton High School, Carrollton High School Band, Carrollton Trojan Band, Carrollton Trojan Band Boosters, CHS Band Program, CHS Trojan Band, Gold Standard, Legacy of Champions, Marching Band Competition, The Legacy Returns, Trojan Band Boosters, University of West Georgia, UWG on August 29, 2018 by CHS Trojan Band.